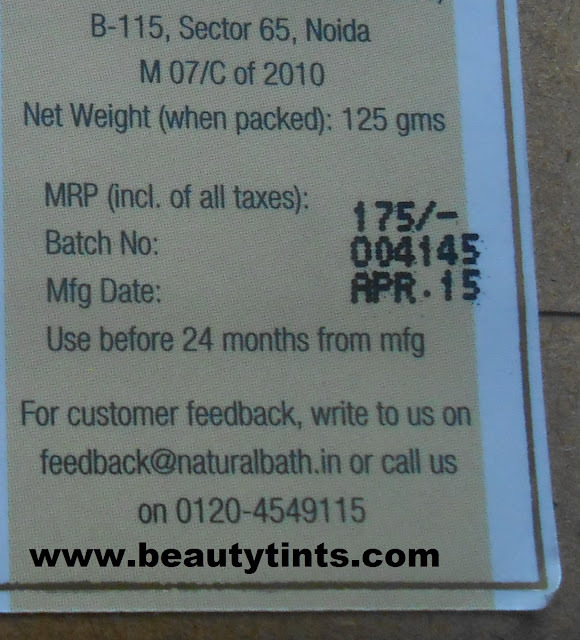 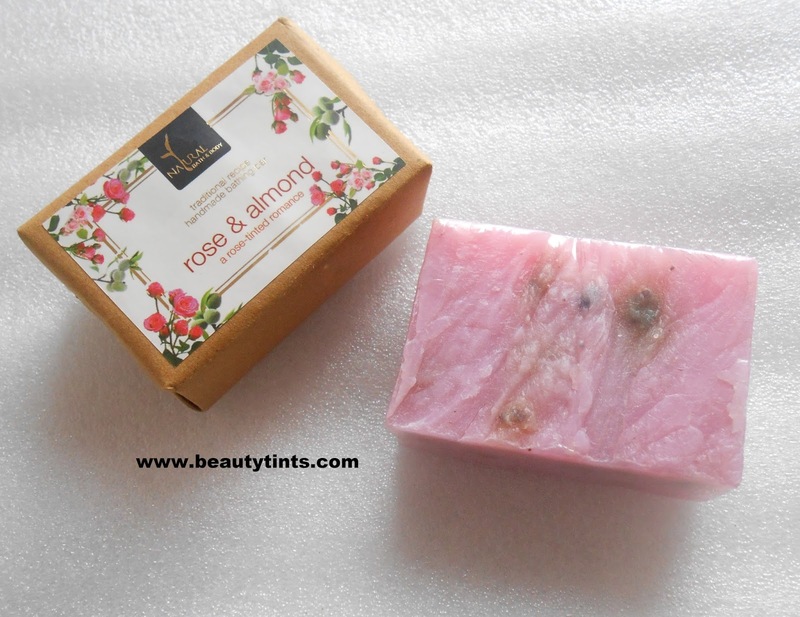 Sriz Beauty Blog: Natural Bath & Body Rose and Almond Soap Review !!! 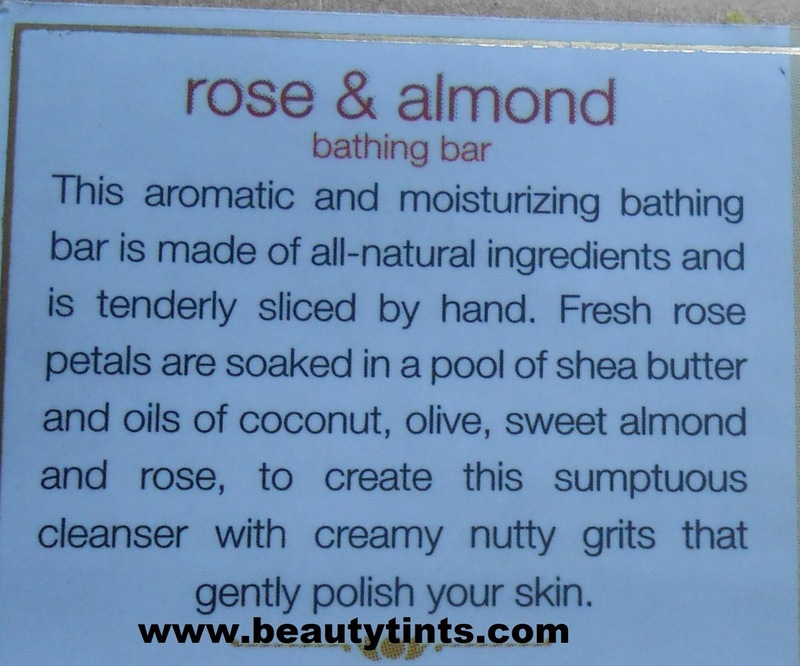 Natural Bath & Body Rose and Almond Soap Review !!! 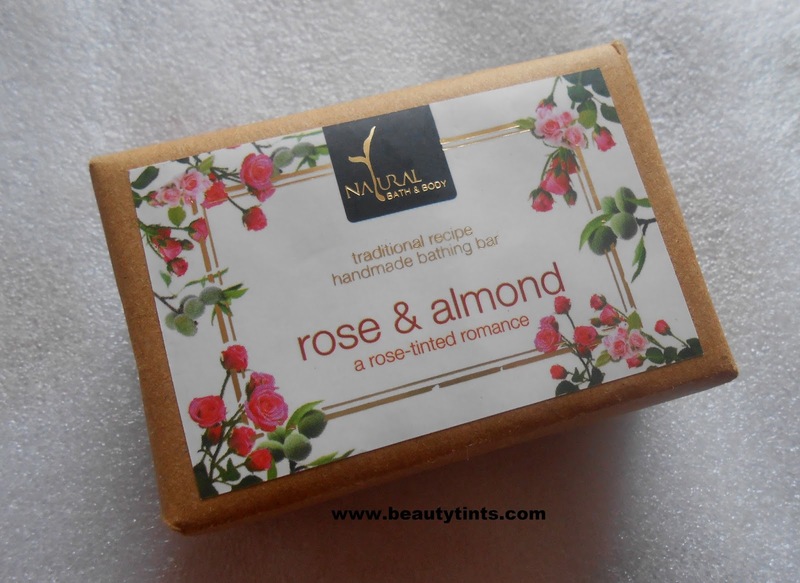 Today I am reviewing a rose tinted romantic soap which is the Natural Bath & Body Rose and Almond Soap,which has a very sensuous rose fragrance which is so heavenly.Even before opening the wrapper,the fragrance spreads all over the room.I received this in May MSM Expess Box. What the Brand Says : NATURAL BATH & BODY brings to you uniquely formulated personal care solutions that capture the raw benefits of nature’s essential oils and botanical extracts through a fluid synergy of Ayurvedic knowledge, creative artistry and contemporary technology. 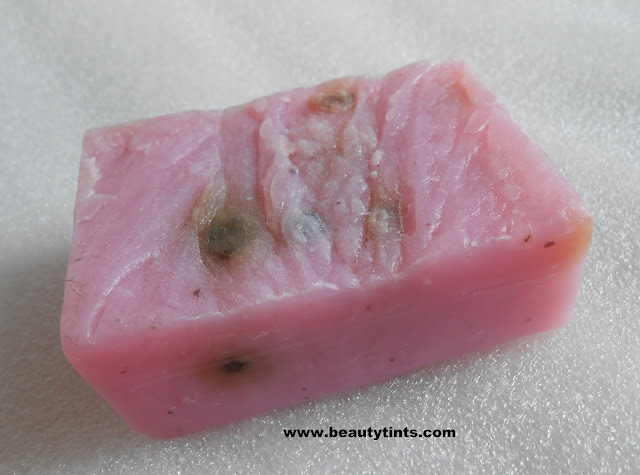 Each of our products is packed with rich concentrations of active natural and organic ingredients that protect, nourish, balance and, most importantly, respect your body. 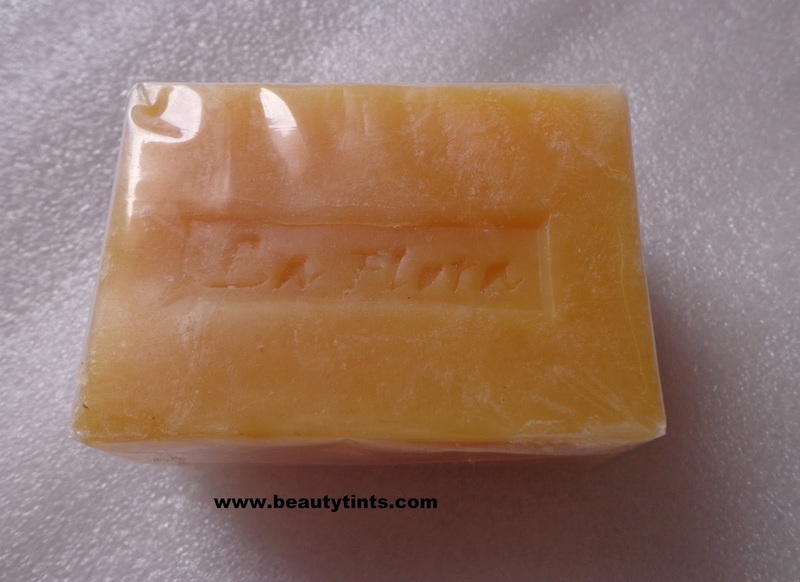 Superior hygiene and quality standards mark our production and packaging process, to create products that are proudly free of parabens, sulfates, harmful colorants, preservatives, fragrances, and other abrasive cosmetic chemicals. With a promise of authenticity and a holistic approach to health and wellbeing, we consistently deliver safe, effective products to those who wish to lose themselves in potent healing and beautifying properties that only nature can offer. 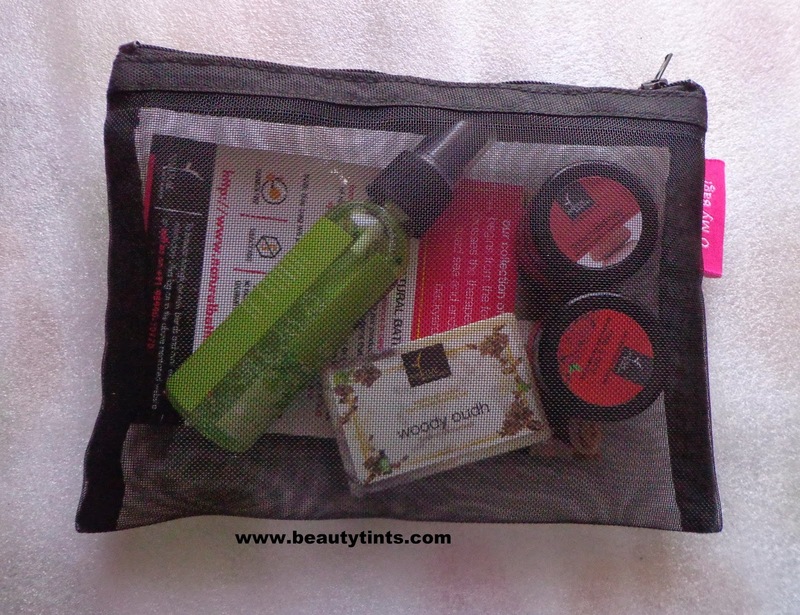 You too can check out their Website and Facebook Page. 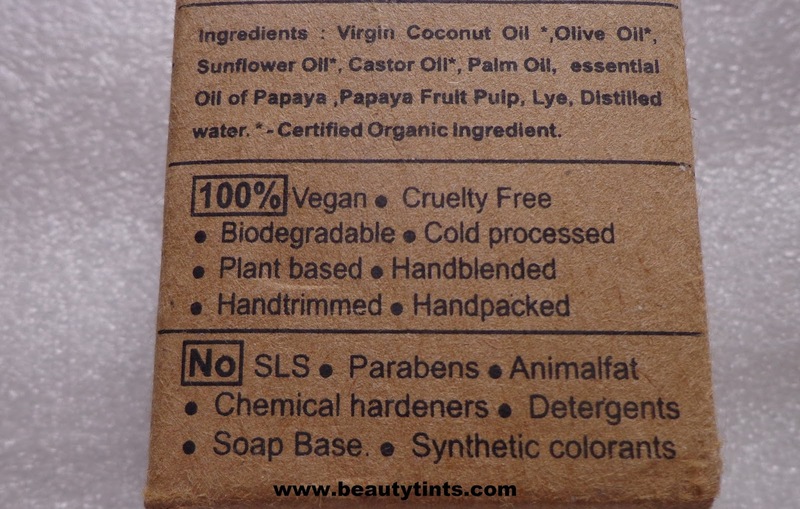 Packaging :It comes in a simple environmental friendly paper wrap packaging with a plastic film packaging inside for double protection. 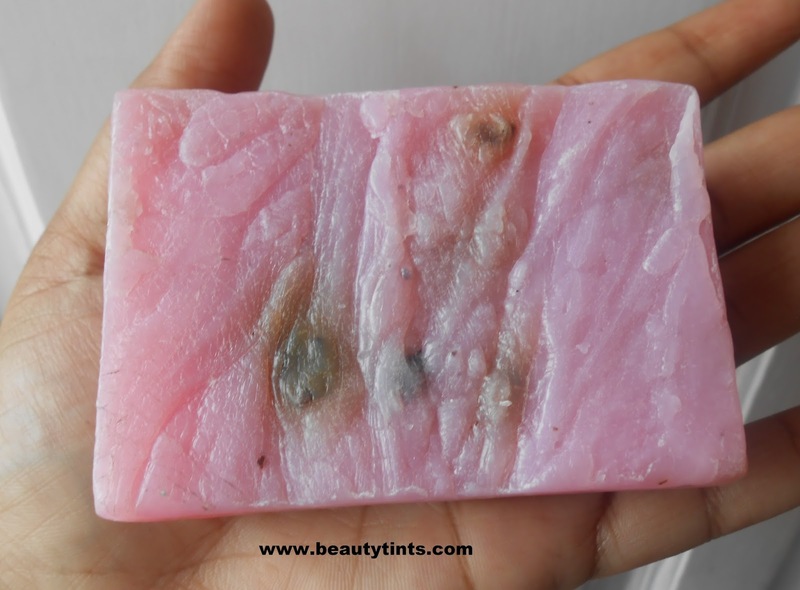 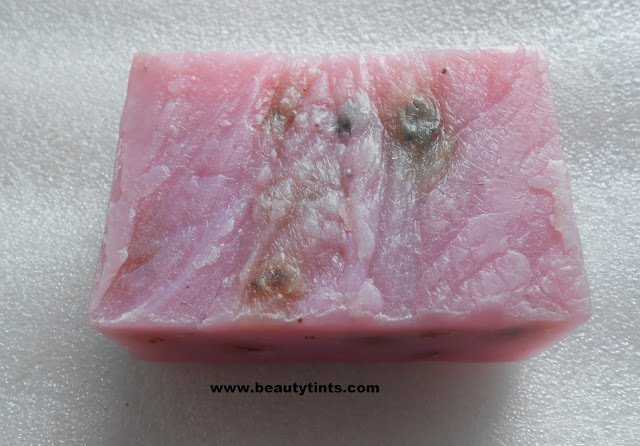 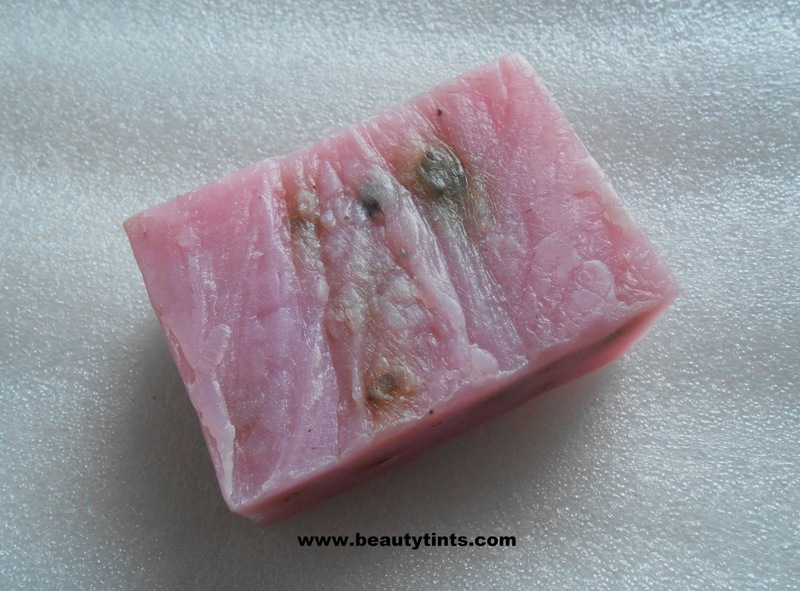 Color and Texture : This is a beautiful bright baby pink colored textured soap with a hint of lavender color, along with dried rose petals embedded in it. 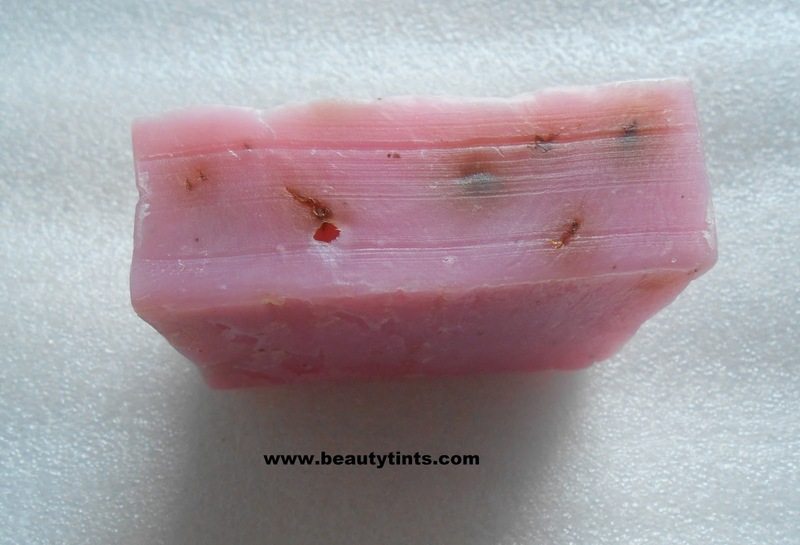 The aromatic and moisturizing bathing bar is made of all-natural ingredients and is tenderly silced by hand . 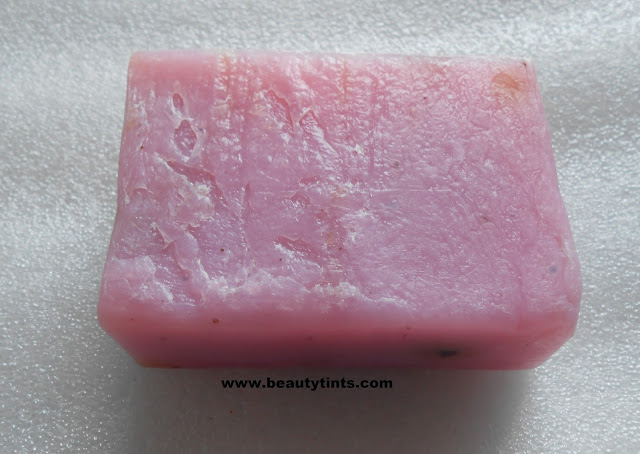 Fresh rose petals are soaked in a pool of shea butter and oils of coconut, olive, sweet almond and rose to create this sumptuous cleanser with creamy nutty grits that gently polish your skin. Ingredients : Saponified Coconut Oil, Shea Butter, Olive Oil, Sweet Almond Oil, Rose Oil, Rose Petals, Walnut Grits. 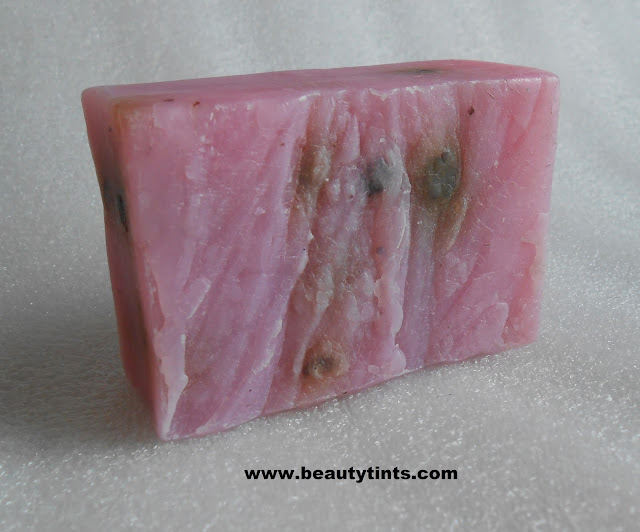 This is a bright pink colored soap ,which has an uplifting rose fragrance.The fragrance lingers for a long time.It lathers into a rich creamy foam and cleanses the skin gently yet effectively giving it a squeaky clean look.It hydrates the skin with out drying out.It is very mild on the facial skin too.It is enriched with the goodness of roses along with Saponified Coconut Oil, Shea Butter, Olive Oil, Sweet Almond Oil, Walnut Grits.It gives a nice fresh and clean look to the skin and also makes it smooth and radiant.It doesn't melt easily and so lasts longer.The rose petals in it gives a mild exfoliating effect .I prefer to cut it into two pieces,so that it lasts little longer.It is preservative free and cruelty free. 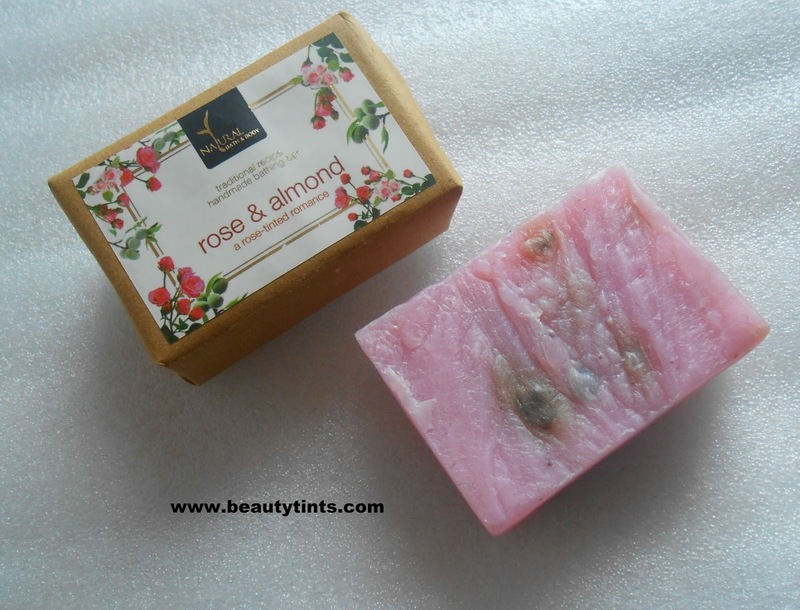 Final Conclusion about Natural Bath & Body Rose and Almond Soap : Those who want to experience the luxurious and lavish bath experience with the goodness of roses, should go for it!! 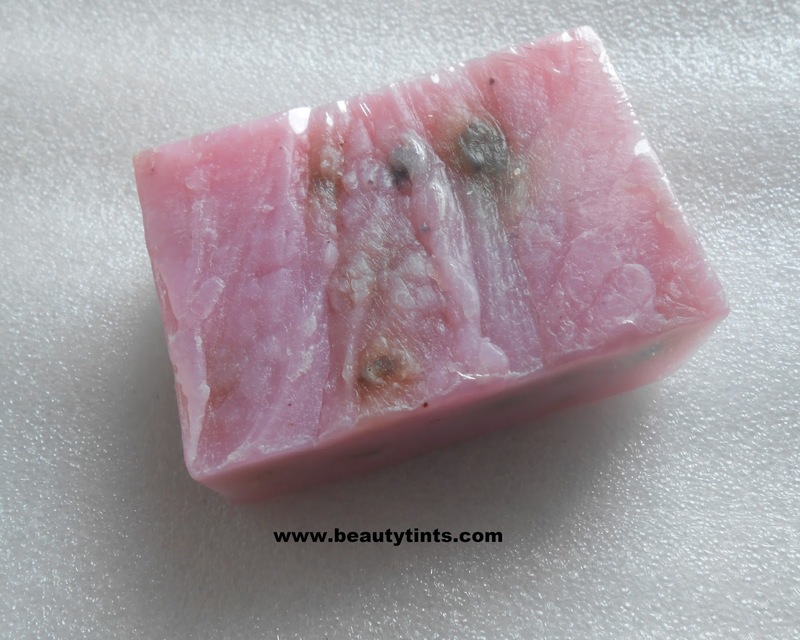 !Best option for gifting your loved ones !